Germany Applies Anti-Nazi Laws on Two Non-Violent Pro-Sharia Islamic Groups! Well, it’s about time that a non-Muslim country gets it right. I tip my hat to Germany for overcoming the politically correct disease, and doing what is necessary to protect Western Civilization. 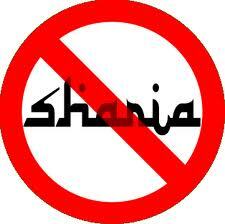 Back in October Germany’s Chancellor Angela Merkel, stated that Muslims cannot live by Sharia in Germany. At the time I remember several people on numerous sites, saying it was just talk. Considering the fact that the West has more than its share of weak leaders, I didn’t blame them for thinking that. But thankfully, she has proven them wrong. German police yesterday targeted two Salafi Islamic groups in what officials say is an investigation into efforts to overthrow the government. German authorities hardened a crackdown on Islamic groups yesterday, raiding homes and schools that reportedly belong to adherents of fundamentalist Salafi Islam. German officials said the preemptive raids, conducted under German anti-Nazi laws of association, were aimed at uncovering unconstitutional or separatist acts and not part of an international terror hunt. The raids targeted the Islamic Cultural Center of Bremen, on the North Sea, along with a group calling itself Invitation to Paradise in two small northwest German cities. Invitation to Paradise’s leader has called for sharia, or Islamic law, to prevail one day but has specifically opposed using violence to impose it. The beauty of this is that Germany saw the internal threat of Sharia loving Muslims, who are attempting to takeover within the law. While some experts say police overreacted in conducting the raids, German officials have come under great pressure from local media and citizen groups to respond to some Muslim organizations that appear to resist joining mainstream German society. Germany has been on high alert for possible terror attacks since mid-November. The Reichstag parliament building was partially closed to tourists for two weeks following a phone call from a disaffected South Asian jihadist who warned that Islamic militant groups were planning to attack high-profile targets in the nation. Authorities said yesterday’s raids were unrelated to the phone warning. A leader of Invitation to Paradise, Pierre Vogel, has been a lightening rod in Germany for some time now. He’s a German convert to Islam who appears on numerous TV shows to defend the concept of sharia. In the past I have said that Muslims who use the freedoms of the West to advance their Sharia agenda, are even more dangerous than potentially violent Muslims. That pro-Sharia are Muslims to be looked upon as enemies of the state, just as Nazis were. Now that Germany has opened the door to preserving Western Civilization, lets see who will follow. I have a feeling this is just the beginning…. Don’t Let Anybody Fool You. Islam is The New Nazism. There are several photos of Islamists giving the Nazi salute. Both ideologies have a profound hatred of Jews. The Grand Mufti in Arabia was very much aligned with Hitler prior to and during the second world war. There common goal was to eliminate the Jews and conquer the world. There is much evidence of this on U tube. Many of Hitlers Nazi techniques and brainwashing of chidren and Youth are still being used in Palestine. Many of Hitler’s Nazi techniques and brainwashing of children and Youth are still being used by the Liberal Global Elite. Not trying to correct you, just want to point out that it is far more wide spread. What really bothers me is that all these muz immigrants from the M/E are showing up in the West and bringing islam with them. Who is paying and/or providing the impetus for all these different immigration surges? This looks like more and more of a FINANCED plan by muz as an attack on the west. 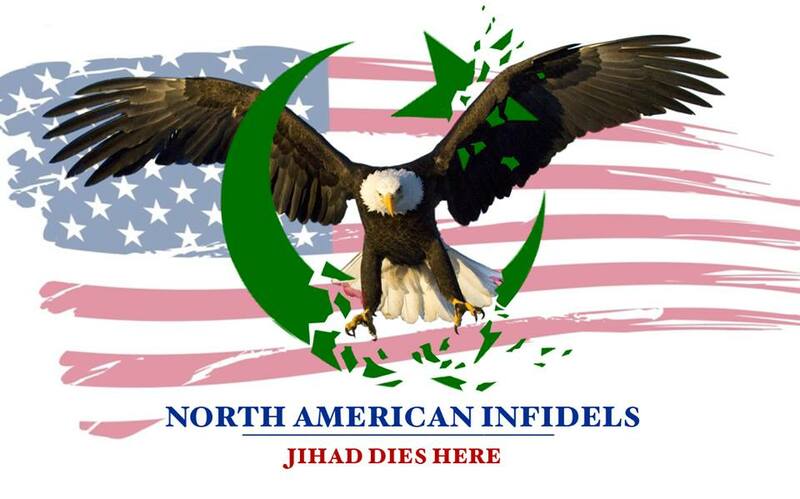 The muz that they’re sending are the lamest, most ignorant, unskilled of all islam…the dregs…..like shock troops. Will Obama now attack Germany? I hope you’re right about this being a sign of things to come, but there is the possibility that this will be overthrown by a German court somehow, much like Oklahoma’s anti Sharia amendment to their state constitution. Luckily seems through based on the article that this has wide spread public support in that country, and they are probably a lot of smart, well educated people over there who understand German law, who will stand by Chancellor Merkel. Thank God. Hopefully this is just the first of many survival moves by the West. Good for Germany! We should follow suit. We already have our laws and they should be obeyed! Let’s see if any other country in the world as any bit of ‘spine’ in them – simply to follow the German path. I know for a fact that (except for Tommy Robinson & EDL) UK will be the last (if at all) to join the German leadership.